At BAM, A Raft Of Classics, Shipped In From Overseas New York is one of the world's great theater cities, but it's not every year that several of the world's greatest theater companies visit to perform several of the greatest plays of classical theater. At the Brooklyn Academy of Music, it's happening this season. 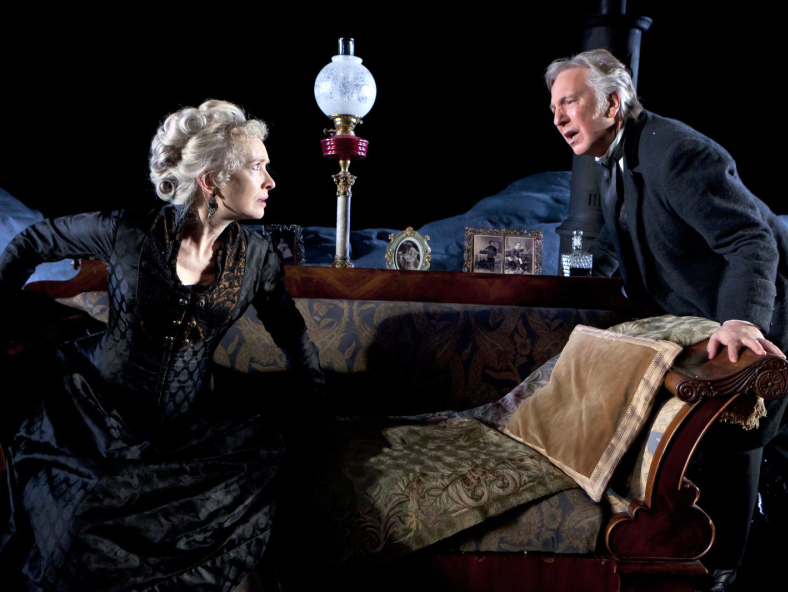 Lindsay Duncan (left) and Alan Rickman play bitter ex-lovers in Ibsen's John Gabriel Borkman. New York is one of the world's great theater cities, but it's not every season that several of the world's greatest theater companies visit — and bring some of the greatest classical plays to share. That could be one reason sales at the Brooklyn Academy of Music, which is serving up Ibsen, Gogol and Shakespeare for its classical-theater season, have been unusually brisk. "They're flying — they have, like, little wings," Joe Melillo, BAM's executive producer, says. "The tickets are flying out of the box office." The plays may be between 100 and 400 years old, but the artists presenting them say they resonate for contemporary audiences. Take John Gabriel Borkman, Henrik Ibsen's 1896 drama: The title character, a banker, has been imprisoned for illegally investing his client's money — think Bernie Madoff. "You see the byproduct of these legal battles," says actress Fiona Shaw, who plays the title character's wife. "The families fall apart, because financial difficulties, or financial shame, produces a terrible fallout in families," she says. In the real world, Madoff's son, Mark, took his own life in December 2010. Ibsen's three central characters are imprisoned by their own delusions and bitterness, says Alan Rickman, who plays Borkman. "They're locked in the past, aren't they?" he says. "They've all got different views of the past and, frankly, that's something I recognize." "They're just very exaggerated versions of people we all know," says Lindsay Duncan, who plays a woman abandoned by Borkman. "We've all grown up with these people," Rickman agrees. 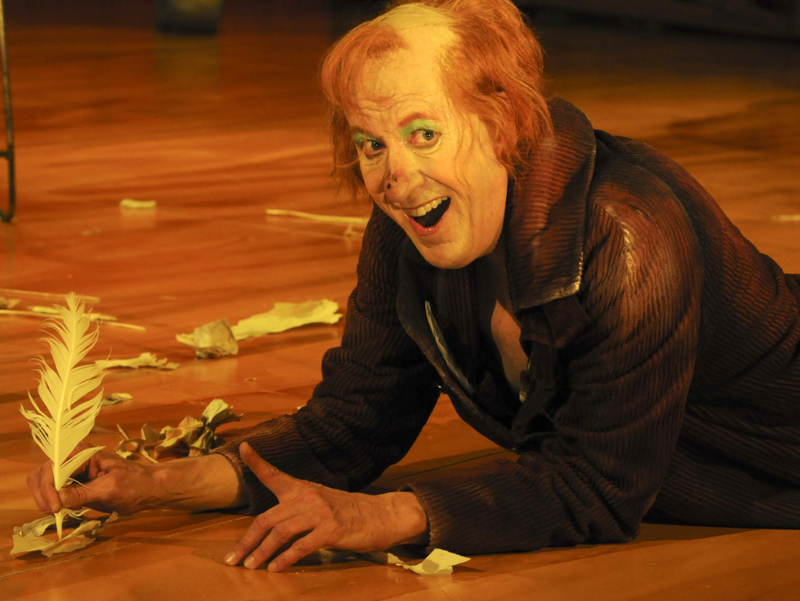 Delusional characters are at the heart of another BAM presentation — an adaptation of Nikolai Gogol's short story, The Diary of a Madman, starring Oscar and Tony Award-winner Geoffrey Rush. Gogol wrote it about a midlevel bureaucrat in 1835 Russia, but to Rush, it feels like modern absurdist writing. As the star of The Diary of a Madman, Geoffrey Rush discovered threads of modern absurdism in Nikolai Gogol's writing. If Rush's character descends into madness, the same is true of Shakespeare's King Lear, which actor Derek Jacobi and director Michael Grandage are bringing over from England. "Classical actors go through hoops," Grandage says, citing a conversation he had with his 72-year-old star. "And the first of them is the Hamlet hoop, and the last one, usually, is the Lear hoop. [Jacobi says] if you pass ... the Hamlet test, early on, then people say that you're allowed to play your Lear when you get to the right age!" Derek Jacobi plays the titular monarch in Michael Grandage's King Lear. Despite the play's large political dimensions, Grandage believes that Shakespeare tapped into something more primal. "The center of the play is a great domestic drama, and [Shakespeare] was clearly a man who was writing with a huge degree of knowledge about the nature of an aging parent," he says. "We have different words for it now — of course in Shakespeare's time it was called madness, and it's called madness throughout the play. But for 'madness,' now we have dementia." 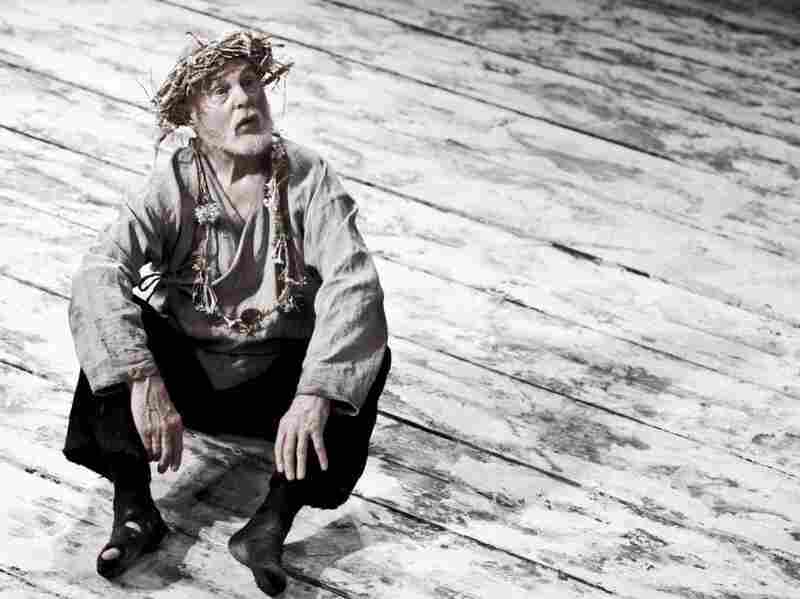 That understanding of "madness," Grandage says, explains why audiences tend to connect so intimately with King Lear. "We have a whole load of actual labels and labels where a modern audience, through the sad misfortune of their own families and their own aging parents or their own aging relations, have access to people who start to lose their mind, in some way." Not all of BAM's classical theater season deals with madness and delusion. A production of Shakespeare's The Comedy of Errors is coming, as well.